Do you feel like you're walking around in work boots that were made for someone else? (Cue Twilight Zone music.) Even with all their great features and comfort technology, not all men's boots give your feet the perfect fit. 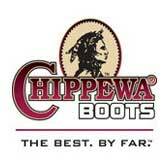 These Chippewa Men's 24952 Nubuc Waterpro ... (see full details) (see specifications) #CHP24952. Do you feel like you're walking around in work boots that were made for someone else? (Cue Twilight Zone music.) Even with all their great features and comfort technology, not all men's boots give your feet the perfect fit. These Chippewa Men's 24952 Nubuc Waterproof Tan Insulated Boots actually adjust to your feet, not the other way around. 8- inch uppers full of soft, pliable Nubuc leather surround your feet and calves to create a strong but comfortable fit. A full-grain leather, the golden tan Nubuc feels like suede but acts like a much stronger leather. Even better, it's fully waterproof, so wet job conditions won't affect your feet when you're wearing these Chippewa boots. Tough, heavy, brushed Nylex lining surrounds your feet on the interiors of the waterproof boots. Those feet, by the way, will rest on orthotic Bontex insoles that contour to the specific needs of your feet. Removable, the soft footbeds are also easy to clean, so you won't have to fight foot odor or discomfort. For excellent arch support, steel shanks and PVC midsoles are ready to assist you. Even the hardware is long-lasting, featuring antique brass non-tarnishable eyelets and hooks. The durable lacing system includes heavy duty waxed sta-tied laces; they'll "stay tied" all day long. 400 grams of warming, lightweight Thinsulate Ultra insulation offers superior cold-weather protection, trapping your body heat and storing it so you won't lose temperature. Injected sole construction joins the non-marking Vibram honey Apollo outsoles to the rest of the insulated boots for a strong, secure bond. These slip-resistant soles keep you steady, while oil-resisting protection fights chemical corrosion. The construction includes waterproof leather, and the slip-resistant boots are steam-sealed for superior waterproofing. Chippewa Men's 24952 Nubuck Waterproof Insulated Leather Boots are made to fit your feet, contouring and cushioning every step for maximum comfort. There's no doubt about it: these Chippewa boots were made for you. I love that fact that these boots are waterproof and very comfortable. I can wear these at work, hunting, hiking, or just anywhere. On wet days, my feet stay dry. The Chippewa 24952 boot is your classic looking work boot. I knew I would like it, but what I didn't know is how comfortable it has gotten, and the insulated lining makes it a real winner. Also being waterproofed is a bonus. I never tried Chippewa boots before, but these 24952 nubucks have made me a believer. I like the boot very much, as it has helped my feet not slop around in a boot, and has great support. These boots are one word--GREAT. I love the look of this boot...I have been shopping around for it for a long time now and I finally found it. Will make my order soon, hope theres still some left in stock as this is last one. People here in PNG and especially in Bougainville we love shoes, not just the shoes but the brand....Chippewa is one brand thats not heard of here but this particular shoe is one that every young man here would die to have. I for one have a couple boots here but this boot is by far the best yet I have come across. I would say its just Super slick. Chippewa Boots: Men's Waterproof 24952 Insulated Nubuc Tan Boots is being added to your cart.